The closing of a year lends itself to looking back. And making lists. With the Percona Database Performance Blog, Percona staff and leadership work hard to provide the open source community with insights, technical support, predictions and metrics around multiple open source database software technologies. We’ve had over three and a half million visits to the blog in 2017: thank you! We look forward to providing you with even better articles, news and information in 2018. 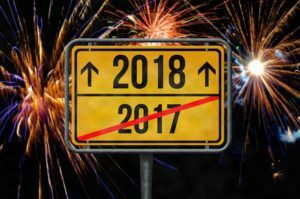 As 2017 moves into 2018, let’s take a quick look back at some of the most popular posts on the blog this year. Straight-up comparisons of different open source databases’ ability to handle today’s workload levels are always popular. Can open source databases cope with millions of queries per second? Many open source advocates would answer “yes.” However, assertions aren’t enough for well-grounded proof. That’s why in this blog post, Sveta Smirnova (Principal Technical Services Engineer) shared the benchmark testing results from Alexander Korotkov (CEO of Development, Postgres Professional) and herself. The comparative research of PostgreSQL 9.6 and MySQL 5.7 performance is especially valuable for environments with multiple databases. Another highly viewed blog is Colin Charles (Chief Technology Evangelist) comparison of MariaDB vs. MySQL (including Percona Server for MySQL). The goal of this blog post is to evaluate, at a higher level, MySQL, MariaDB and Percona Server for MySQL side-by-side to better inform the adoption decision making process. It is largely an unofficial response to published comments from the MariaDB Corporation. Alexander Rubin’s (Principal Consultant in Architecture & Projects) blog shares some column store database benchmark results, and compares the query performance of MariaDB ColumnStore v. 1.0.7 (based on InfiniDB), Clickhouse and Apache Spark.The purpose of the benchmark is to see how these three solutions work on a single big server, with many CPU cores and large amounts of RAM. Both systems are massively parallel (MPP) database systems, so they should use many cores for SELECT queries. This post (first of a series) from Yves Trudeau (Principal Consultant) explores and investigates the use of ZFS with MySQL to see when ZFS can help solve real problems. He examines ZFS and tries to draw parallels with the architecture of MySQL to better understand how ZFS works and behaves. Although information is plentiful, replication is often incompletely understood, or completely misunderstood. This blog post by Dimitri Vanoverbeke (Solution Engineer) reviews some of the MySQL replication concepts that are part of the MySQL environment (and Percona Server for MySQL specifically). He clarifies some of the misconceptions people have about replication. Thanks to the Galera plugin, founded by the Codership team, we’ve had the choice between asynchronous and virtually synchronous replication in the MySQL ecosystem for quite a few years already. Moreover, we can choose between at least three software providers: Codership, MariaDB and Percona, each with its own Galera implementation. The situation recently became much more interesting when MySQL Group Replication went into GA (stable) stage in December 2016. In this post, Przemysław Malkowski (Principal Support Engineer) points out a couple of interesting differences between Group Replication and Galera, which should be helpful to those considering switching from one to another (or if they are planning to test them). Checking the NVMe flash health from the command line for both older and new drives is fairly straightforward. But what does the health information mean? In this blog post, Peter Zaitsev (CEO) investigates both how to check the NVMe flash health on both older and new hardware, as well as a breakdown of the collected information. In this blog post, Alexander Rubin (Principal Consultant in Architecture & Projects) decided to try ClickHouse: an open source column-oriented database management system developed by Yandex (it currently powers Yandex.Metrica, the world’s second-largest web analytics platform). He runs the database using Wikipedia page statistics as a data source and compares the results to a previous test of Apache Spark and MySQL. Percona has had a lot of opportunities to present and discuss a very powerful tool that is more and more used in the architectures supporting MySQL: ProxySQL. In this blog, Marco Tusa (High Availability Practice Manager) looks at how to set up ProxySQL for high availability. Views are often used in relational databases to achieve both data security and a high level of abstraction, making it easier to retrieve data. In this blog post, Adamo Tonete (Senior Support Engineer) looks at how to set up views in MongoDB 3.4. Have a great end of the year celebration, and we look forward to providing more great blog posts in 2018.